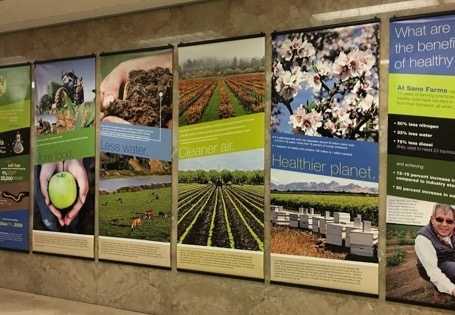 Soil health informational panels adorning the wall just outside Governor Brown’s office remind visitors of the value and importance of soil health. On the fifth anniversary of the United Nations' recognition of Dec. 5 as World Soils Day and just in time for the California Department of Food and Agriculture's awarding of $5.23 million in funding to promote the adoption of soil health conservation practices, the California's Healthy Soil Initiative celebrated its first ever California Healthy Soils Week. For most, that might not sound like a holiday worthy of week-long festivities (a celebration style often reserved for birthdays), but to the passionate folks who've spent the last three years building the nation's leading climate-smart agricultural program, it marks the beginning of a new story of how California agriculture can contribute to feeding the world, saving water and cleaning our air, all while fighting climate change and buffering against its negative effects. Jenny Lester Moffit led a legislative staff briefing on soil health. As the inaugural year's theme “Healthy Soils = Healthy Lives” implies, soil health and human health are one and the same. 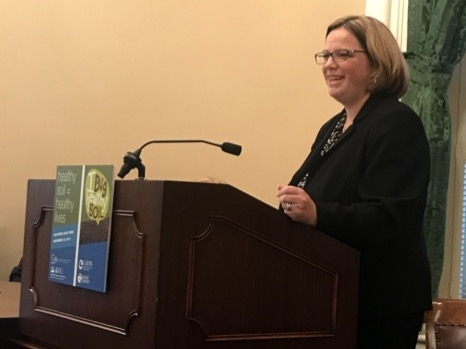 So, in an effort to educate Californians on how vital soil truly is, the week focused on “highlight[ing] all the remarkable gifts healthy soils have to offer,” as CDFA Secretary Karen Ross commented. From Dec. 4 to 7, CDFA, in partnership with a broad swath of stakeholder groups ranging from state organizations to the private sector (Fibershed, including Community Alliance with Family Farmers, California Farm Bureau, CalCAN, CA Resource Conservation Districts, Roots of Change, and Fibershed, hosted a variety of panels, webinars, and tours to better demonstrate what soil health actually is, what it looks like, how to promote it, as well as barriers to adoption and on-farm challenges. Farmers Rory Crowley of Niclaus Nut Company, Michael Crowell of Bar-Vee Dairy and Bruce Rominger of Rominger Brothers Farms discussed benefits and challenges of no-till farming. Dec. 5 – the official World Soils Day – was jam packed, starting with a 9 a.m. webcast on Climate Smart Agriculture, followed by a legislative staff briefing led by CDFA Deputy Secretary Jenny Lester Moffitt, and a reception to celebrate the connection between soil and food by indulging in the fruits of California agriculture. The briefing included two discussion panels -- one that featured scientists including UC Cooperative Extension advisors Daniel Munk and Glenn McGourty, East Stanislaus Regional Conservation District agent Jeff Borum and Margaret Smither-Kopperl of the USDA-NRCS Plant Materials Center, and one that featured pioneering farmers, Rory Crowley of Niclaus Nut Company, Michael Crowell of Bar-Vee Dairy, and Bruce Rominger of Rominger Brother's Farms. The growers discussed the benefits and challenges of no-till farming, or conservation agriculture, on their own farms. The next day turned a bit more hands-on, with California EPA and CalRecycle helping deliver bags of compost, along with educational materials to legislative offices and with tours taking legislators out into the field -- first to the Recology compost facility, and then to Sierra Orchards where some of that compost ends up. Calrecycle took legislators and stakeholders on a tour of the Recology compost facility in Dixon. Capping it all off, Southern California got looped into the festivities with a tour of the Urban Farm in Los Angeles and keeping in the urban food systems theme, Sacramento Food Policy Group and ReSoil Sac hosted one last panel and reception at Hot Italian, a local restaurant that sources seasonally fresh, California-grown ingredients and is committed to improving communities and the environment. And it's not just talk, these guys walk the walk with a worm-bin on site to help process their waste into a valuable resource for local growers. If you grew up in the 1980s or 1990s (or were a child at heart during that era), the famous Powers of Ten film likely left an indelible mark in your mind. The film starts with a couple lounging on a picnic blanket and zooms out to the outer reaches of the universe, then back in to peer into the microscopic world of the human body: from white blood cells to DNA, and finally down to the proton of a carbon atom. In its short 9-minute run time, Powers of Ten manages to inflame an existential angst about the size of a single human life while at the same time connecting the viewer to the beauty of the universe and the human body. Powers of Ten reminds us that looking at the world from different perspectives, from the very tiny to the immensely large, helps create a better understanding of the natural world, our place within it, and how we can impact it for good. Had Powers of Ten returned from outer space by zooming into a piece of soil rather than a the human body, it would have explored the billions of living creatures in one handful of soil, slowly scaling down from millipedes to earthworms to ants to nematodes to protozoa, and finally down to the soil's bacteria and fungi that make up the base of the soil food web. 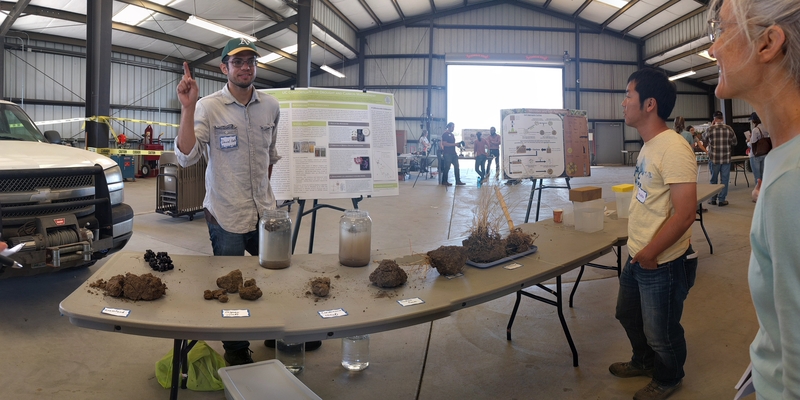 The video might then have looked a lot like the recent workshop at the Russell Ranch Sustainable Agriculture Facility, which served as a science fair for farmers and researchers to learn about the minuscule but powerful soil microbe. Through hands-on demonstrations using everything from soccer balls to building blocks, sponges, and food coloring as props, graduate students and postdoctoral researchers in UC Davis' Soil Microbial Ecology Lab lead by soil microbiologist and professor Kate Scow explained the role and importance of these invisible players in soil to the people who depend on direct observation for much of their work: farmers. While farmers often have a baseline knowledge about soil microbiology and its importance on the farm, “the science is evolving so quickly at this point, that it can be hard to keep up,” said attendee Margaret Lloyd, UC Cooperative Extension advisor who works with small-scale farmers in Yolo and Sacramento counties. The workshop coupled foundational principles of soil microbiology with practical on-farm management situations, making the case for farmers to actively consider soil bacteria, fungi, and other micro organisms in their decision-making process. 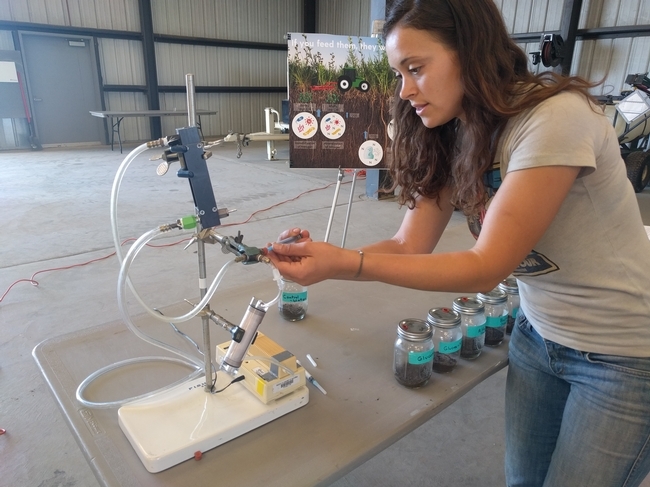 Jessica Chiartas, a fourth-year graduate student in soil microbiology and one of the workshop organizers, is somewhat of a soil science evangelist. Her hope was to help workshop attendees better understand that “soils are not just physical, chemical systems. A majority of the processes that take place underfoot are biologically driven. Soils are living and breathing bodies and much like us, they need to be fed, covered, and protected from disturbance” in order to function in the long term. The scale of microbial activity in soil makes it challenging to help farmers dig into just what scientists are talking about when they talk about microbes. 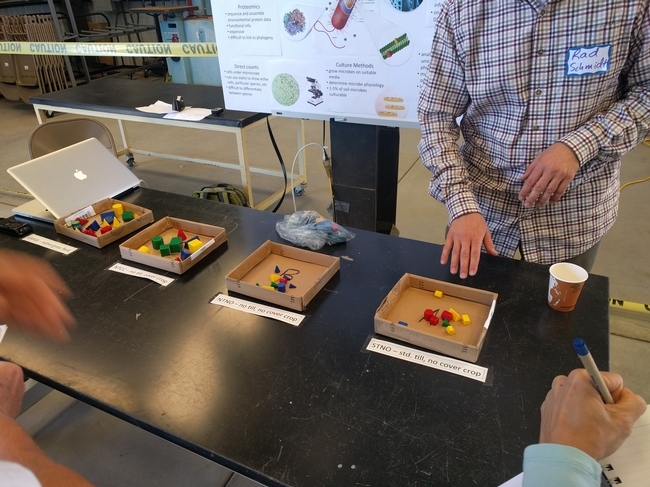 The presenters at the soil health workshop used vivid analogies to translate the abstract results of scientific research and hard-to-imagine scales into concrete, relatable concepts. A single gram of soil may contain a billion bacteria, and several miles of fungal hyphae, the web-like growth of fungus. Translated into human scale, the numbers are mind boggling. If a single microbe were a 6-foot-tall person, then a single millimeter of soil would be as tall as the empire state building. A typical soil bacterium contains as many DNA letters in its chromosome as two copies of “War and Peace.” A stack of copies of “War and Peace” equivalent to bacterial DNA from a single teaspoon of soil would be larger than the Great Pyramid of Giza. The metaphors of scale are a fun thought experiment, and they could provide a jumping-off point for a discussion between farmers and scientists essential for improving our current understanding of soil as a living system. Climate change is expected to amplify the effects of soil erosion, compaction, nutrient leaching and other issues common in our current agricultural systems. 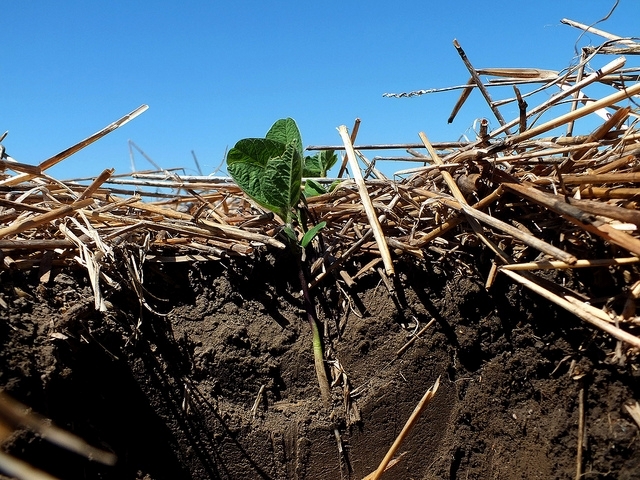 We are now in the era of “soil information revolution," Schmidt said. As our knowledge of the soil microbiome expands, implementing this knowledge in agricultural practice is more and more possible. This graduate student cohort is well-positioned to make the necessary connections, learning from farmers while helping them zoom in to see the essential lifeforms that impact their farm, then zoom out to help make decisions that are good for the farmer, good for the crop, and good for the microbe. Farmers in the Davis area will have another opportunity to learn soil health fundamentals at a workshop this fall hosted by the UC Sustainable Agriculture Research and Education Program and Russell Ranch Sustainable Agriculture Facility. Details about the workshop will be posted here. 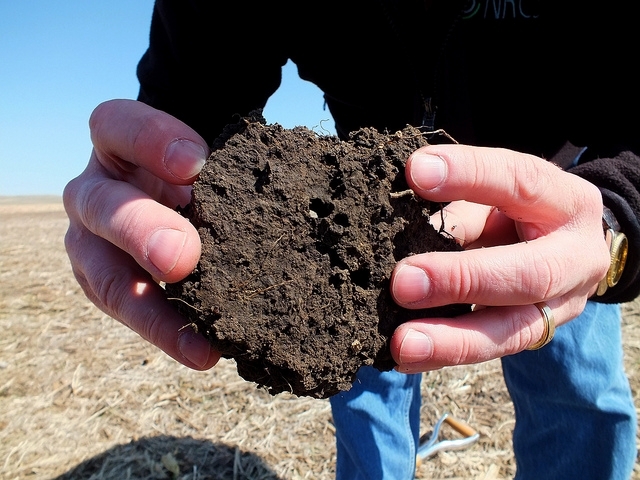 Healthy soil does much more than hold plants upright on the surface of the earth. It is a mix of mineral bits and old plant particles teeming with microbes to form a mysterious and complex web of life scientists are just beginning to understand. While scientists use high technology to study heathy soil – painstakingly counting soil worms and bugs, sequencing the DNA of soil bacteria, for example – some farmers know intuitively whether the soil is healthy just by walking on it. An overflow crowd at the UC West Side Research and Extension Center learns about the benefits of farming practices that promote healthy soil. 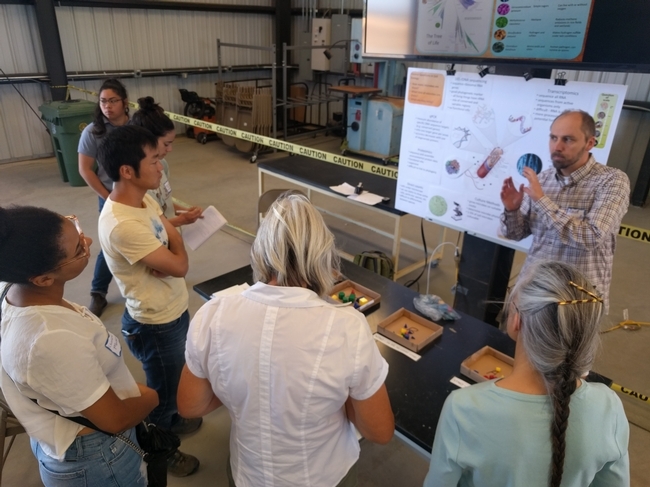 Park shared his farming experiences with 200 farmers, industry representatives, University of California Cooperative Extension scientists, Fresno State students, news media and others during a half-day UC workshop at the UC West Side Research and Extension Center in Five Points. Park said he adds 10 to 15 tons per acre of biomass to his farm every year. He's using less fertilizer, up to 20 percent less water, and even experimenting on the farm by growing a commercial crop with just four inputs: cover crops, water, seed and sun. Soil samples on the left break down quickly in water. On the right, healthy soil absorbs water without breaking down. Researchers are now using the scientific method to figure out the root causes of these empirical observations. “There's a lot going on in soil,” said Radomir Schmidt, a UC Davis soil microbiologist who spoke at the soil health field day. A teaspoon of soil has a billion bacteria and six miles of fungal hyphae, the filaments that branch out through the soil from fungi, Schmidt said. The microbes' interaction with living plant roots, the larger pores left by decomposing vegetation and tunneling worms and insects create a system that confers resilience to unforeseen challenges – such as pest pressure, torrential rainfall and plant diseases. Conventional system, with annual soil tillage and no cover crops. Conservation agriculture, with no tilling whatsoever and annual winter cover crops. No-till without the cover crop. Conventional tilling with a cover crop. For example, a graduate student counted the worms, bugs, beetles and other microfauna in soil samples from each of the treatments. There were double the amount in the no-till, cover crop plots compared to the conventional farming system. 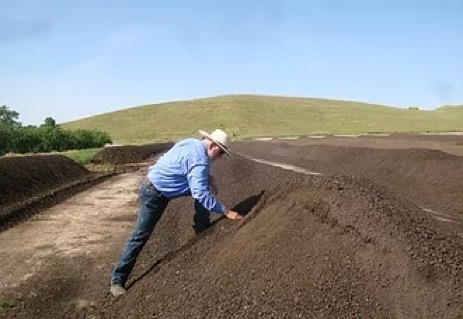 Randall Southard, UC ANR soil researcher, standing in a bulldozed pit, shows the characteristics of soil beneath conservation agriculture trials at the West Side REC. 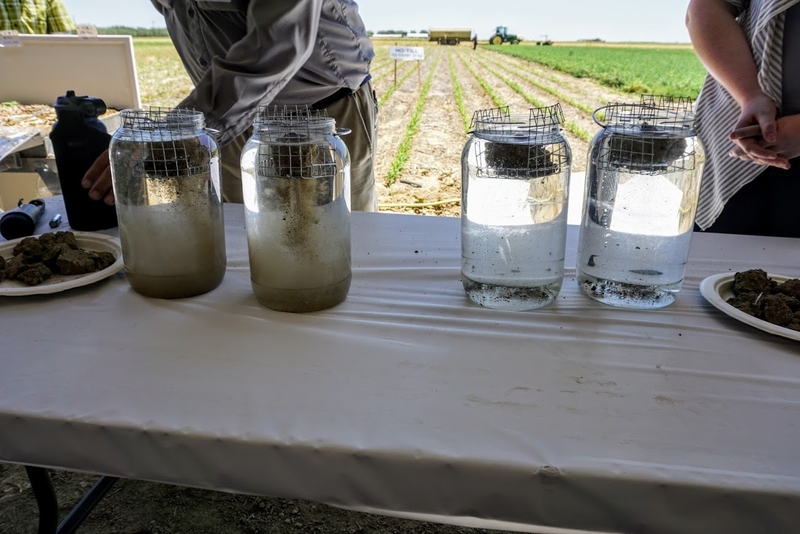 UC Cooperative Extension specialist Sloan Rice found that cover crops promote water retention in the soil after rainfall. There is very little water evaporation from the soil surface and water transportation from the cover crop plants in the winter, so little water is lost. Cover crops also promote more water infiltration below three feet. “Cover crops for sustainable water management is particularly important considering the water supply availability and its cost,” Rice said. Healthy soil management also shows promise in confronting global climate change by sequestering carbon in the soil, rather than depleting it. 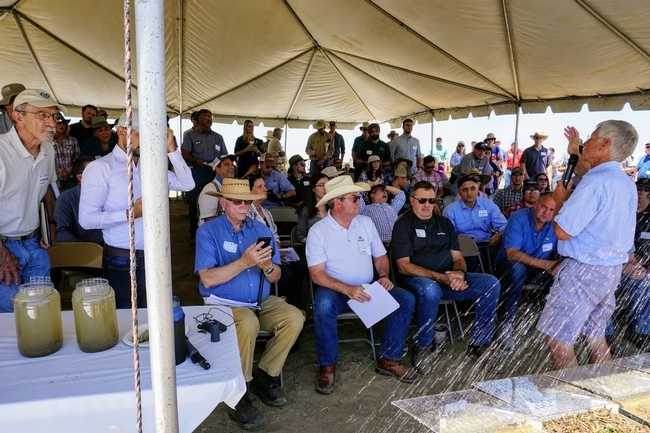 Manager of Sano Farms in Firebaugh, Jesse Sanchez, was a speaker at the field day. He wasn't surprised by the overflow crowd. Field day participants take a close look at the soil. 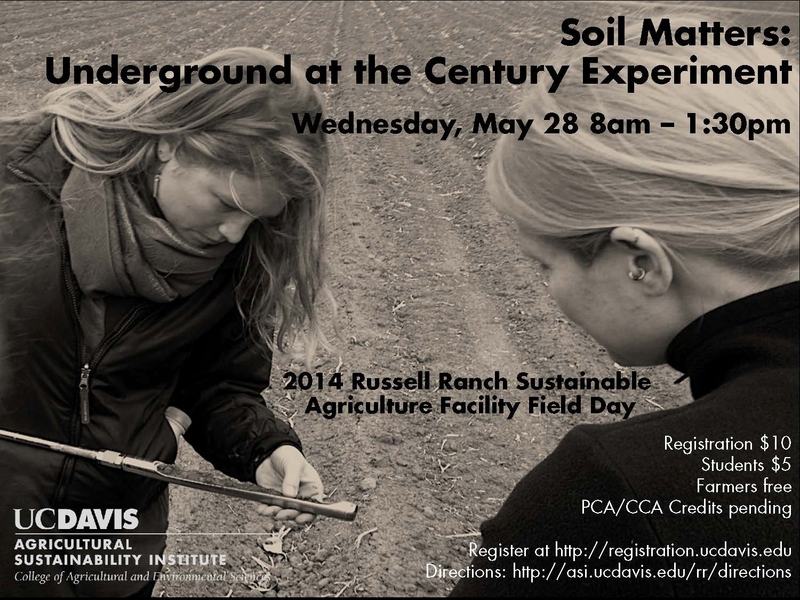 For more information about soil building, see the UC Conservation Agriculture Systems Innovation website at http://casi.ucanr.edu. In a move designed to raise awareness about a substance that is the very foundation of life on earth, 2015 has been declared the International Year of Soils by high-level national and global organizations, including the U.S. Department of Agriculture and the United Nations. Moreover, soil is an extremely limited natural resource. Three-quarters of the earth is covered by water. Half of what's left is desert, swamps, frozen solid or mountainous – areas unsuitable for agricultural production. Land that's rocky or floods annually further reduces space for growing crops, leaving just a tiny fraction of the earth's surface as arable land. These limited areas of productive soils on earth are threatened by expanding urban development, unsustainable soil management practices, pollution and overgrazing. Other natural resources – like air and water – garner more attention as they enjoy much greater visibility, while soil is kept in the dark and treated like dirt. 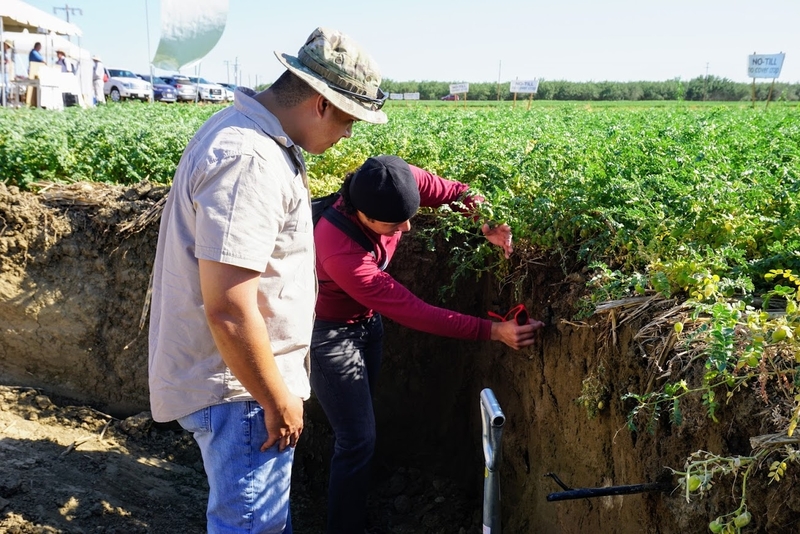 UC Agriculture and Natural Resources is taking part in the year-long celebration of soil to help give soil the recognition it deserves and promote policies that will protect the earth's soil for future generations. Another student, Jessica Chiartas, invoked the world's celestial connections in her presentation. 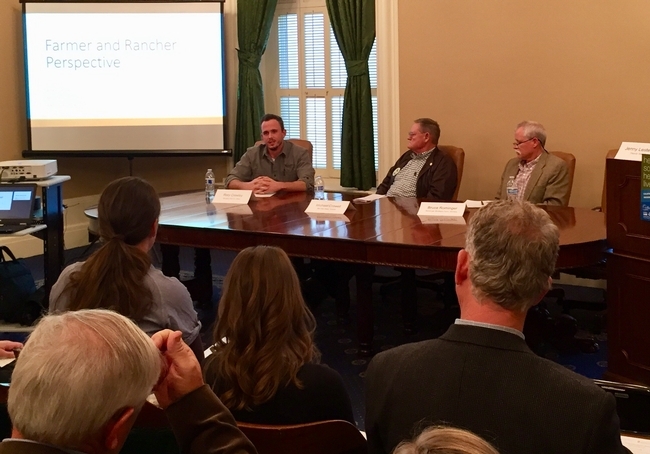 Messages about the significance of soil conservation will be shared with California state legislators at Ag Day at the Capitol in Sacramento on March 18. An annual celebration of the state's diverse agricultural industry, the event draws farmers, 4-H members, commodity groups and agencies who work with the state's agriculture industry – including the UC Division of Agriculture and Natural Resources – to the state capitol's front steps. Elected officials, their staff, California state workers and the public visit and learn about California agriculture. Other UC activities marking the International Year of the Soils are aimed at extending to farmers ways they can preserve and protect the soil on their California farms. 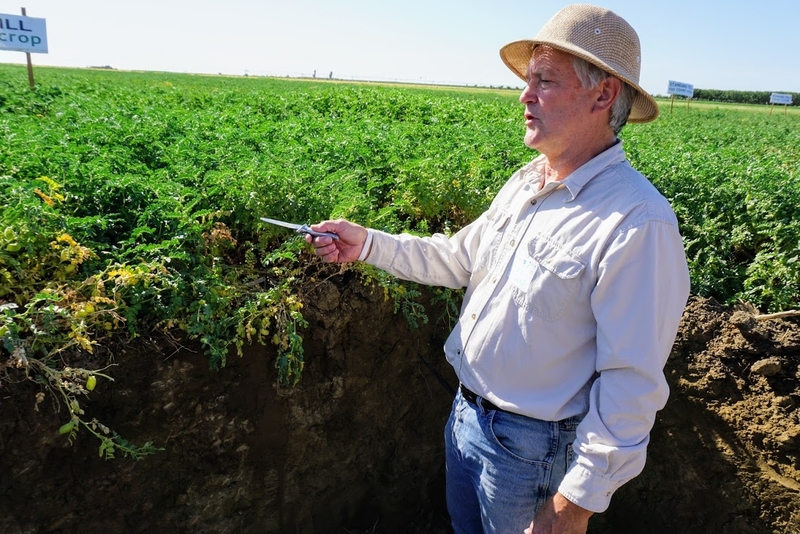 The Conservation Agriculture Systems Innovation Center (CASI) – a collaborative project coordinated by UC that involves farmers, researchers and representatives of public and private agencies and environmental groups – is a leader in promoting soil health. The group conducts research and extension activities aimed at helping landowners maintain and improve their farms' productivity with soil management systems like cover crops, reduced tillage and no-till, and crop rotations. These systems are intended to cut sediment loss from farms and ranches, reduce dust emissions, conserve water and sequester carbon. CASI has outlined three soil-health initiatives to accomplish during the International Year of Soils. The group will hold a series of demonstration evaluations and information-sharing field events throughout the year. The soil health outcomes from the long-term conservation agriculture and cover cropping research project at the UC West Side Research and Extension Center will be presented to 100 different audiences. A 10-segment soil health video series will be developed along with the USDA's Natural Resources Conservation Service. The videos will present the underlying theory and principles of soil health with particular emphasis on conditions in the Central Valley. It will include vignettes about local farmers who have successfully improved soil function on their land while lowering production costs. Mitchell, who has devoted his 20-year career to researching and promoting practices to improve soil health, said the International Year of Soils is adding momentum to ongoing complimentary soil health efforts in the U.S. and worldwide that have been building slowly for years.